I like subscriptions. My razors are by subscription, for a while my toothbrushes were by subscription. I’ve also subscribed to Soylent in the past and plan to again once 2.0 is released in October. So what about snacks? Recently both Graze and Nature Box provided me the opportunity to try one of their boxes free. My box included Strawberry Lemonade Fruit Stars, Sweet Kettle Crunch, Honey Crunch Crisps, Whole Wheat Vanilla Animal Cookies, and Mini Cocoa Belgian Waffles. This would normally cost $19.95. 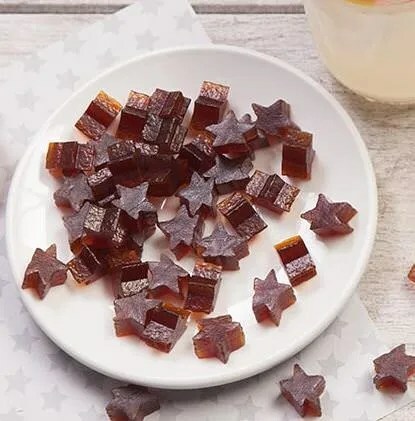 I loved the fruit stars and kettle crunch. I really enjoyed the animal cookies and waffles. The honey crunch crisps are good, but not my favorite. The size of the portions are significantly larger than those provided by Graze – and this was actually a problem for me. I’m not the best with portion control, so I like single servings of snacks – that way I can better gauge and control the amount of a snack I’m eating. In addition, some of the snacks were just too good. The fruit stars and kettle crunch I could easily eat in a single sitting. I guess what I am saying is, their food is great – but for me personally it isn’t optimal. I am looking for foods that satisfy with fairly small portions and that are divided into single portions. At first glance one gets a little shock from the pricing. $20 for a few smallish bags of snacks? But if we do a little math we find it isn’t that bad. There are five snacks, so each snack is $4 and each snack has four or five servings, so you are looking at around $1 per serving – the same as you’d pay for a candy bar…but Nature Box offers half the calories and better nutrition. There was a problem with my original order with Graze. Somehow I got (and was charged for) a second box before I ever received the first free one. Graze was cool about it though and refunded me for the second box. My first box included triple berry smoothie, herby bread basket, honeycomb flapjack, and chili & honey almonds (no longer available). These were all tasty and several of them were quite satisfactory as far as satiating effect. My second box had jalapeno fiesta, fruit & seed flapjack, hot cross yum, and salsa corn chips. It was the second box that actually really caught my attention – primarily because of the ingredients. 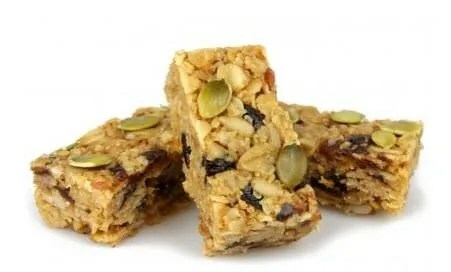 For example, the Fruit & Seed Flapjack contains rolled oats, dried apricots, dried dates, sunflower seeds, raisins, currants, and pumpkin seeds and were delicious! In my third box I received sesame garlic crunch, vanilla almond granola topper, iced cinnamon bun, and hickory smoked bbq – again, all great tasting! Again I was impressed by the nutritional quality. My Sesame Garlic Crunch contained canola oil, sesame seeds, oat bran, dried garlic, steamed jasmine rice, soy sauce, and so on. Meanwhile my Vanilla Almond Granola Topper included almonds, pumpkin seeds, barley, coconut, cinnamon, and so on. This box was seriously about perfect for me as far as being satiating and nutritious. I could list the ingredients from the other items, but you’d just get bored (ohh wait, you already did? sorry!). I haven’t had a chance to dive into my current and fourth box, but I’m looking forward to it and expect that I will enjoy it as much as the previous ones. Ohh, and did I mention that while the portions are smaller the price is less $12 for eight single serving snacks – that works out to $1.50 per snack. Both Nature Box and Graze make great products and either can be a great fit for you. In my specific use case I’m leaning heavily towards Graze. I like the satiating quality of their snacks (Nature Box probably has more satiating snacks I haven’t explored, but Graze seems to just come with them), the nutritional value, and most importantly – the single serving packaging. For many years of my life I would have considered this an unconscionable amount of money to pay for snacks…it was still hard for me to shell out this much for a relatively small amount of food (I could buy 12 boxes of Good & Plenties for this same amount!) but I’ve decided that it is a wise investment. While it may be more expensive it helps me consume less overall and improves the nutrition of what I do eat. I figure, in the long run, the decreased cost in medical expenses will even out for the increased cost. If you want to get a free Graze box, use this link. Or you can enter the reward code DAVEM6YKP while ordering. Previous story Now How Do I Use This Old Scanner Again? NAPS2!